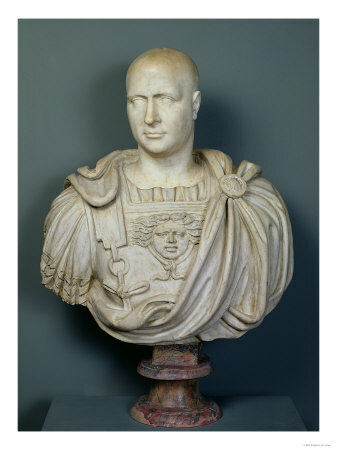 When engaged in a discussion of great military leaders of the ancient world, one cannot help but bring up the figure of Roman Consul Scipio Africanus (236 – 183 BCE).1 Publius Cornelius Scipio Africanus proved to be exactly what Rome needed to break an ever increasing series of horrifying defeats at the hands of Carthaginian general, Hannibal Barca, during the Second Punic War, also known as the Hannibalic War. Until the war against Hannibal’s invasion of Roman Italy and Spain, the Roman army had been the masters of the battlefield. But facing what can only be described as tactical genius in the form of the leadership of Hannibal, Rome was losing tens of thousands of men in single battles like the battles of Lake Trasimine, and Trebia, among others. What was it about the leadership of Scipio that set him apart from his Roman peers, and earned him the honor of being the first Roman titled with a place-name, Africanus, relating to the location of his masterful victory over Hannibal? While the Knights Templar are famed for their courage and valor in combat against Islam in the Crusades, these famed and even legendary knights are responsible for more than just the protection of pilgrims to the holy land, or for facing off with Saladin’s forces from Syria. 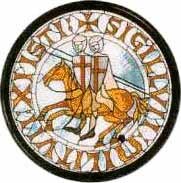 While there are many books and articles composed and published about the Templar Knights, some of which are quite fantastical to the point of science fiction, there are certain contributions that these knights made that have positively influenced western civilization to modern times that need due attention. Although Charles Martel ( d. 741)1 is one of the most noted heroes in Christianity when studying one of the many violent encounters between Christian and Muslim forces, Charles “The Hammer” Martel was no marionette of the Church. He was quite an independent and practical thinker as a military leader and as a politician. territory. The Muslim invasion would reach its climax as Muslim forces under the command of Abd ar-Raham2 faced off in a pitched battle against Charles’ Christian forces at the Battle of Tours in October of 732.3 In the period building up to this battle through its outcome, Charles would prove himself a wise and knowledgeable leader. One of the greatest assets to a successful military leader is to have good knowledge of the enemy and this is something that Charles possessed. While Charles was already on campaign in a region along the Danube, the Duke of Aquitaine who had already seen defeat against the Moors found and warned Charles of the situation.4 Though Charles was urged fervently to move immediately against the Muslim forces, his knowledge of the Muslim Armies’ habits played key in Charles’ plan of dealing with the invasion.